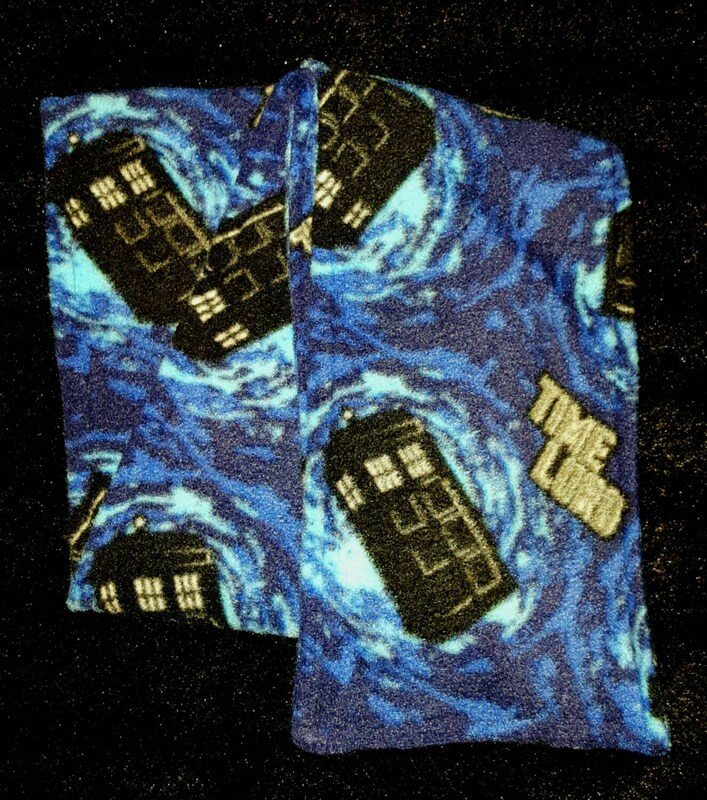 Dr. Who Scarf - The perfect gift for your favorite Whovian. The scarf is 5" wide and 5' long, adult size, send me a message if you would like to order a child's size. Other Dr. Who items are a Hats, Ties, Bracelets, Earrings, Christmas Stockings and Christmas Ornaments.